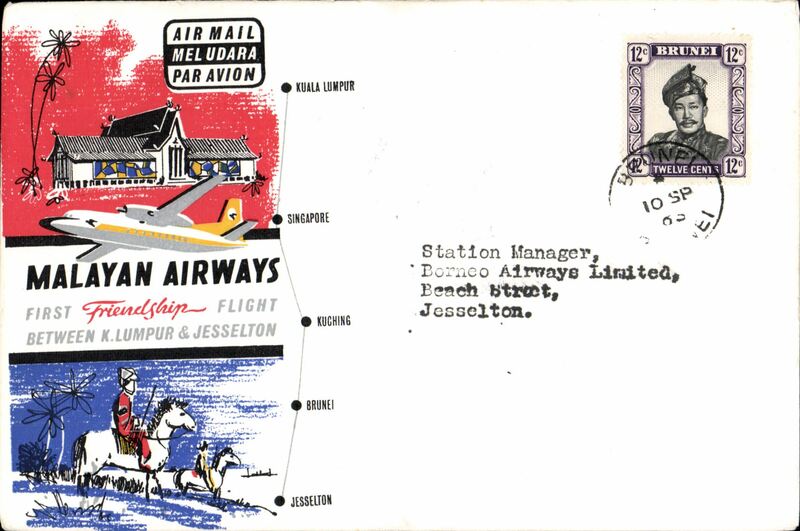 First Friendship Flight, Brunei to Jesselton, bs 10/9, flown Malayan Airways souvenir company cover franked Brunei 12c. 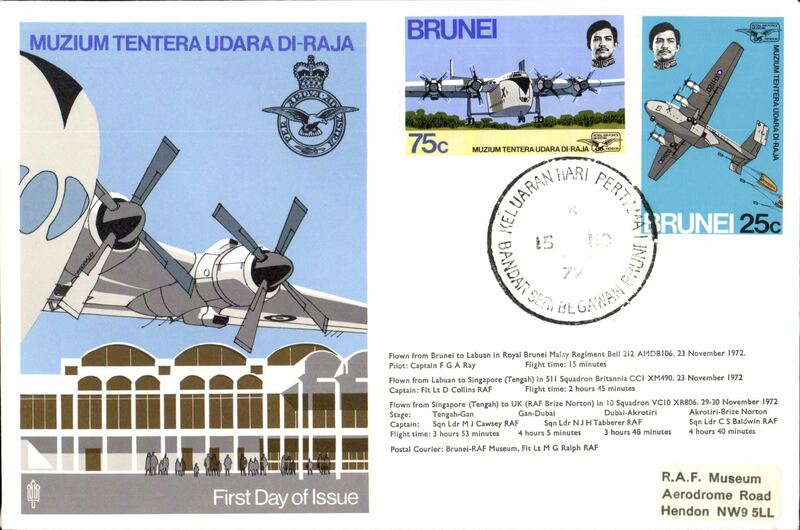 Brunei to Labuan, bs Anzuk FPO/24 Nov cds, franked FDI Muzium Tentera Udara Di-Raja set of two, tied by special flight cancel 15 Nov 72, RAF Museum cover. Brunei airmail covers are uncommon. Image.